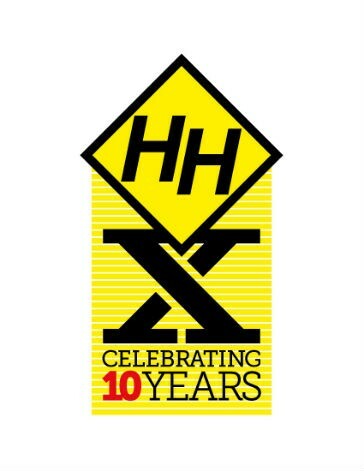 Hazloc Heaters, a manufacturer of industrial unit heaters for hazardous and severe-duty locations, HAS announced that September 2014 marks the company's 10th year anniversary of its founding. Ten years ago Hazloc Heaters co-founders, Clinton Lewis and Darren Ochosky, set out to develop high-quality and innovative industrial heating products with on-time delivery performance. In order to achieve accelerated growth Ouellet Canada Group Inc. was approached and a joint venture was established. In addition to selling products in Canada and the USA, Hazloc Heaters has also achieved international certification markings on its explosion proof electric air heaters, including ATEX, IECEx and EAC Ex. This gives Hazloc Heaters market access to sell its products into the European Union, Australia, Singapore, Russia, and Kazakhstan. Starting out in a building with less than 1,000 ft2 (93 m2) Hazloc Heaters has expanded its facilities four times. The company now occupies over 16,000 ft2 (1,486 m2). As part of the capacity expansion plan, and a goal of productivity improvement, Hazloc Heaters has purchased two state-of-the-art welding robots, developed proprietary custom material preparation equipment, as well as thermal imaging and heater performance test equipment. Hazloc has also been blessed with a dedicated team of long-standing employees that exhibit commitment and pride of ownership in every high-quality product that is sold. Hazloc Heaters President & General Manager, Clinton Lewis said, "Hazloc Heaters’ 10th anniversary is a tremendous milestone for the company. Over the past ten years, we’ve introduced incredible safety innovation into the industry. We have always looked for better ways to build heaters by analyzing our processes and work flow. To our customers, it has been a wonderful decade of achievements and we thank you for your business.